And there’s more to come. The 275,988 who started their DofE in 2017/18, up 1.7% from 2016/17, will reap the benefits in future years. 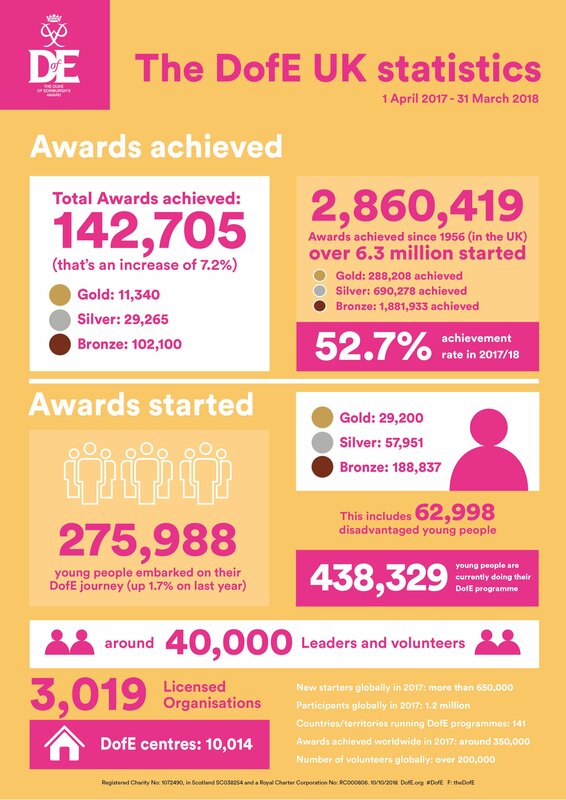 The commitment of DofE centres across the UK has created these opportunities. Through a difficult period that has seen budgets cut, 10,014 centres, such as schools and youth clubs, invested in young people and offered the DofE.